In India Punjabi Salwar suits are most famous traditional ethnic wear choose by most women. It is used worldwide in ethnic events spreading Indian culture worldwide. 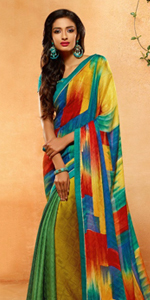 Mostly they are made up of fabric like georgette, silk, cotton. LadyBaazar is the online store having latest collection of beautiful punjabi suits. Latest punjabi dress designs and patterns available with customized stitching. Available in fabrics like silk, brasso, cotton, pashmina and georgette with colors red, blue, green, yellow, white and maroon also. We will deliver your product at your doorstep worldwide at affordable shipping cost. We offers free shipping orders above $400.